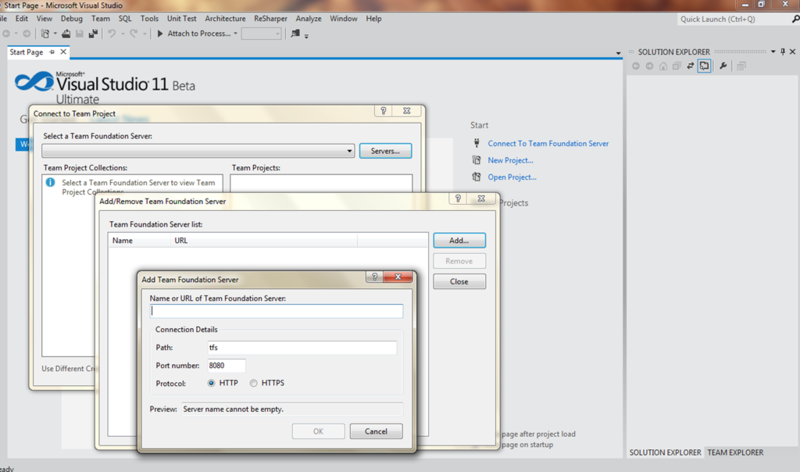 As an Agile developer team who is working in the Microsoft space we have been waiting with bated breath for Team Foundation Server and Microsoft’s other ALM offerings to be made available on the cloud, so it was with much excitement I activated our Cloudy TFS trial. 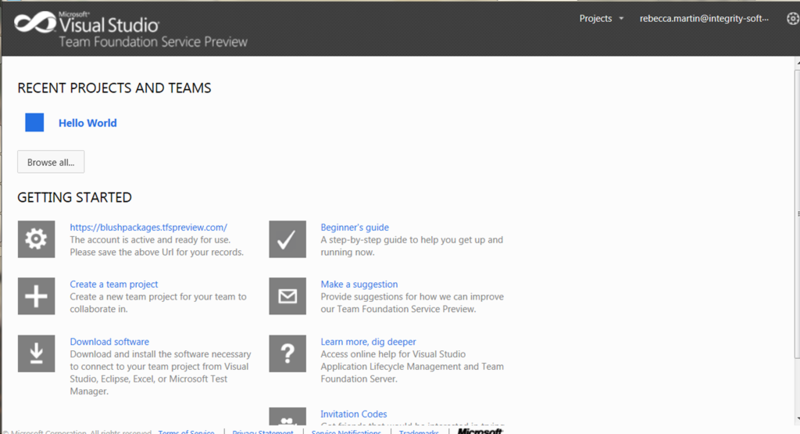 As we know a lot of people have wanted access to the previews but have for one reason or another haven’t managed to get an activation code or get set up, we thought we would add to the growing amount of material on the internet on Cloudy TFS and contribute a post. 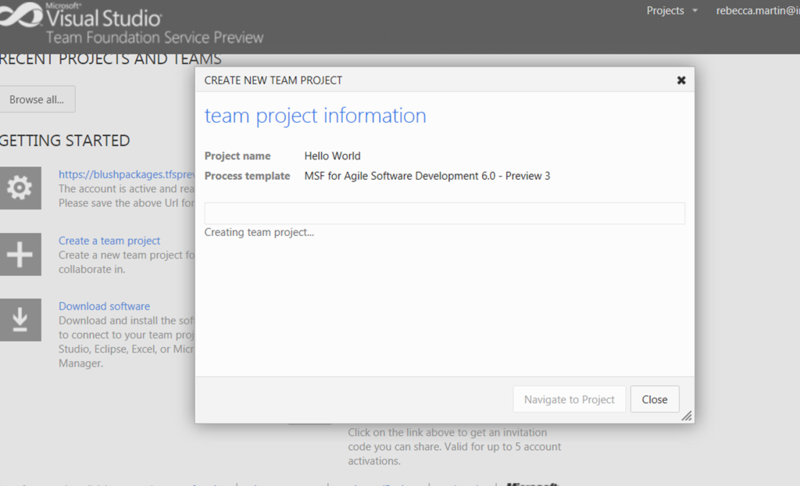 This is simply a case of clicking Create Team Project and following through with the wizard you also have to pick a template I have a love / hate relationship with the standard MS Agile templates, the best one i have found so far out of the stock selection is the “MSF for Agile Software Development 6.0” in this case marked preview 3. 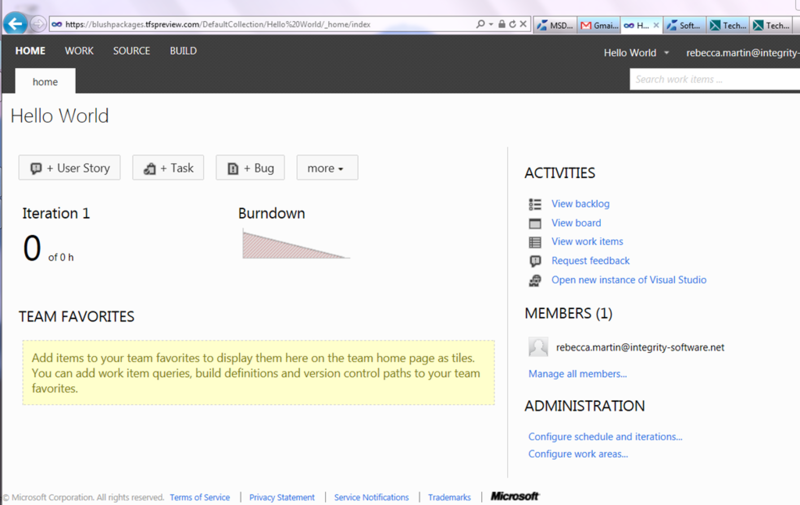 Next you will want to invite your team, everything in Cloudy TFS is tied to live Id. 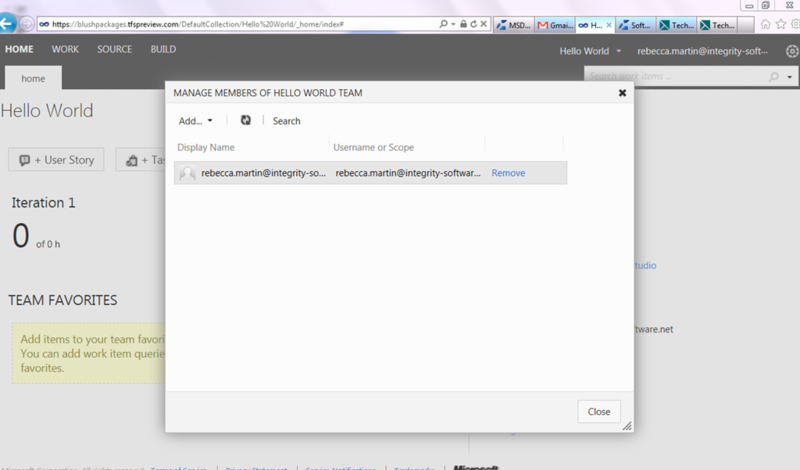 Next we click the Add button, we are then taken through a short invite wizard if all goes well we can then see the member added on the portal page. 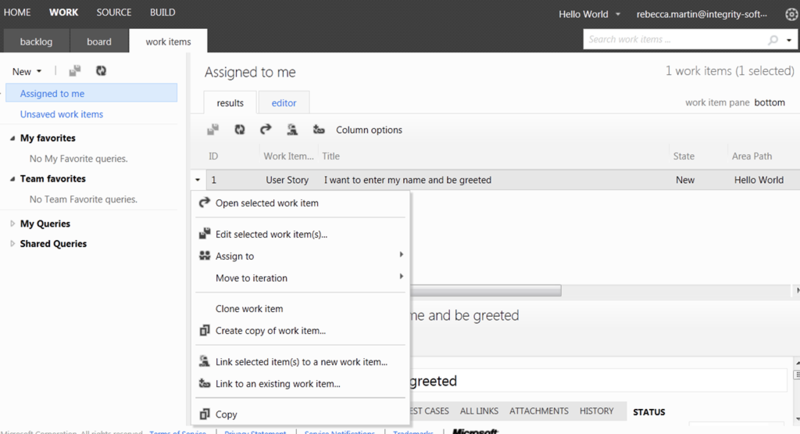 Next lets add a Story to do this head over to the work items tab and select new , from this list you can add different item types in our case we added a User Story. 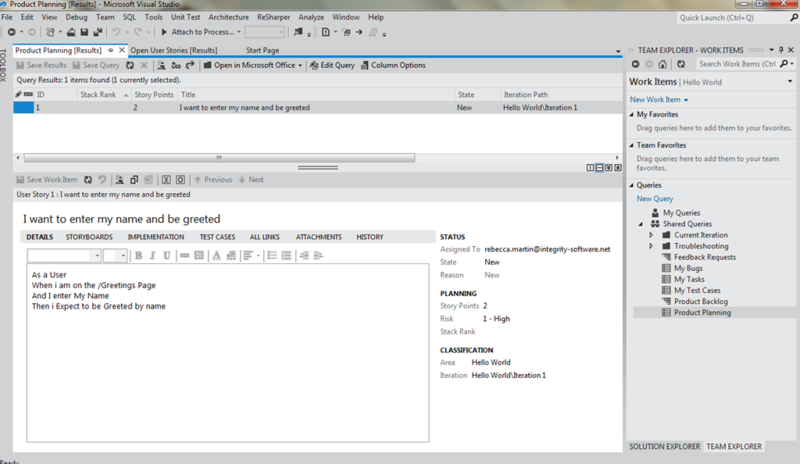 Next we are presented with the Work Item Editor, you can see I have supplied the basic story and a title for the card. 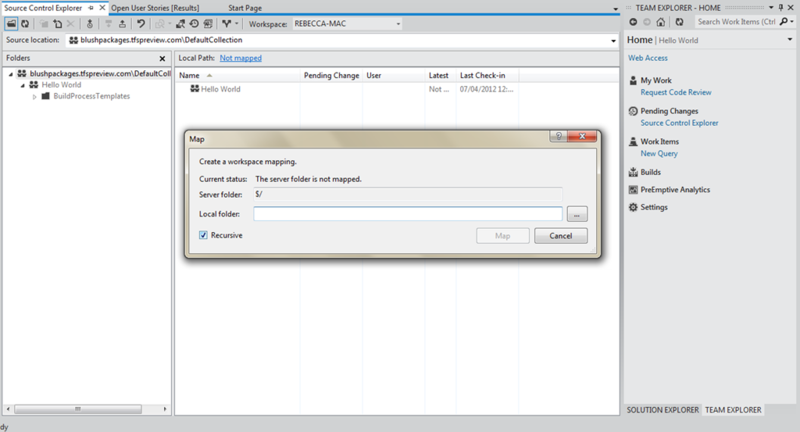 Please pay careful attention to filling in the metadata on the right hand side. 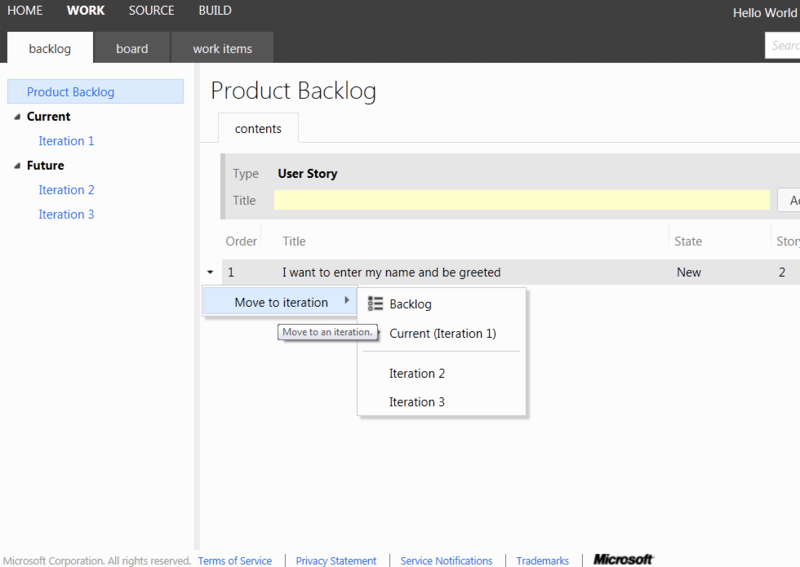 The cards by default get added to the backlog ready to be planned , in our case we wanted to move it into a iteration so head on over to the backlog tab, click on the card and move it. 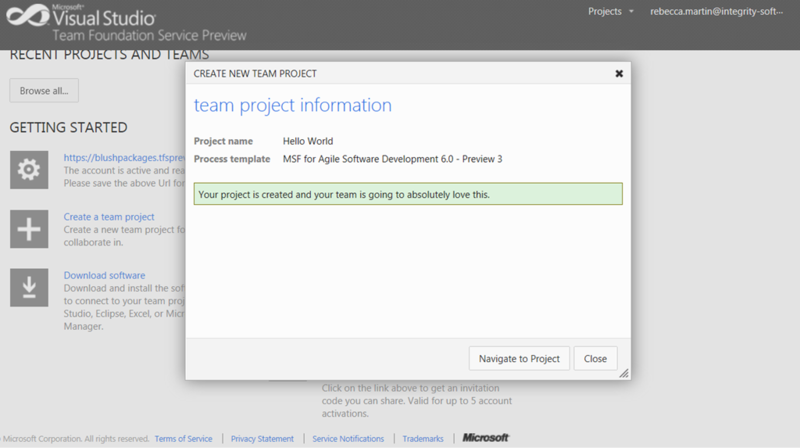 If we look at our work items view we can now see our card and we have a number of options here all of which are self explanatory. 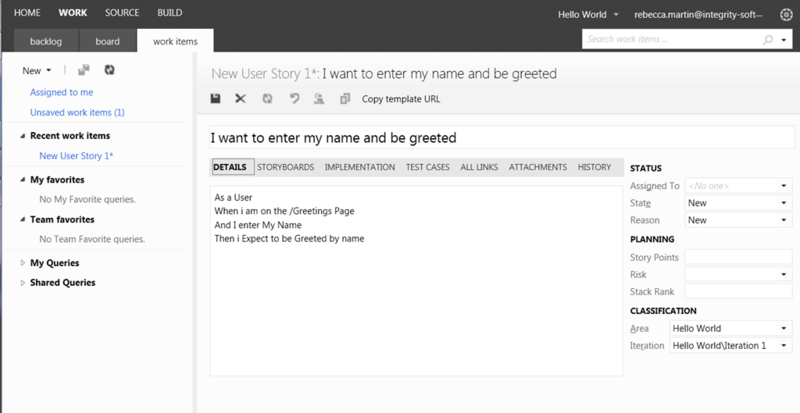 The next step is to add a task to the user story , TFS has always taken a task based approach to Agile there are a number of different views on this , for ourselves we have no wish to fight the tool or the template so we will push in our first task. 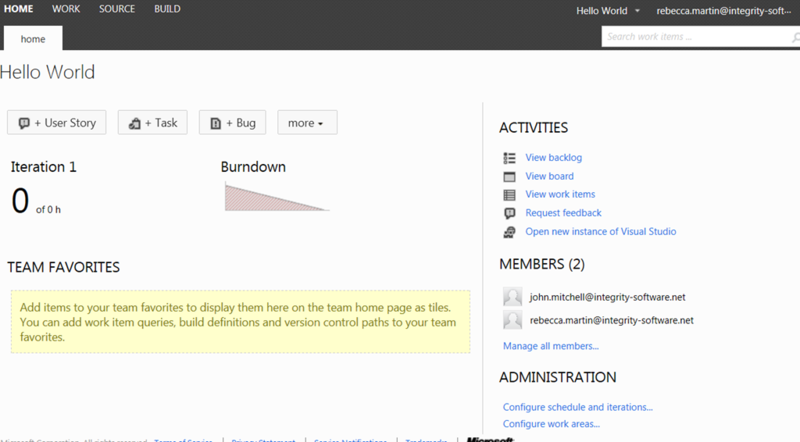 Tasks can be added from a number of different views including Visual Studio Team Explorer, for ourselves we are going to do it from the Card board view. 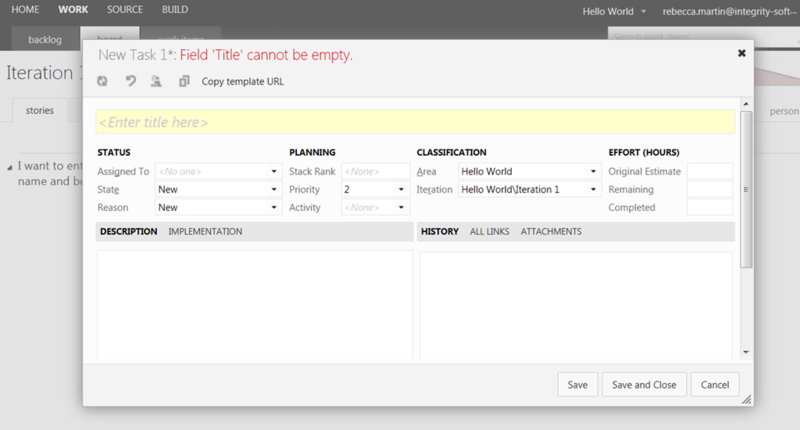 We are now presented with the Task Editor view. 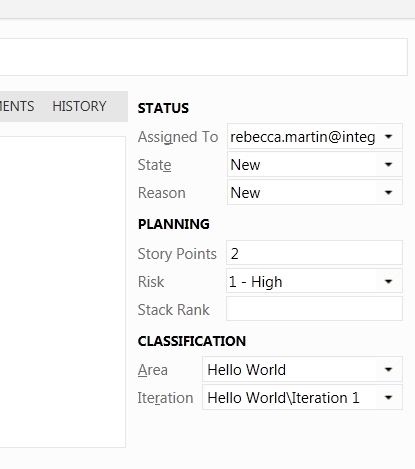 We now have a configured instance of Cloudy TFS there is much more we could do with it, but we now have the minimum set to start thinking about development integration and the tools we need. 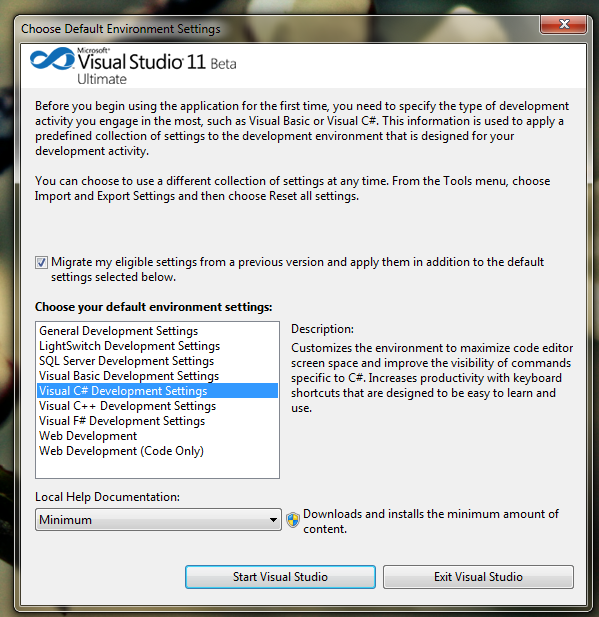 First out of the starting blocks is Visual Studio 2011 , Cloudy TFS will work with Visual Studio 2010 but in reality it is built to work with Visual Studio 11 and it is this partnership that really shines and makes you hugely effective, in addition our team would not step out into the rain with out Resharper. 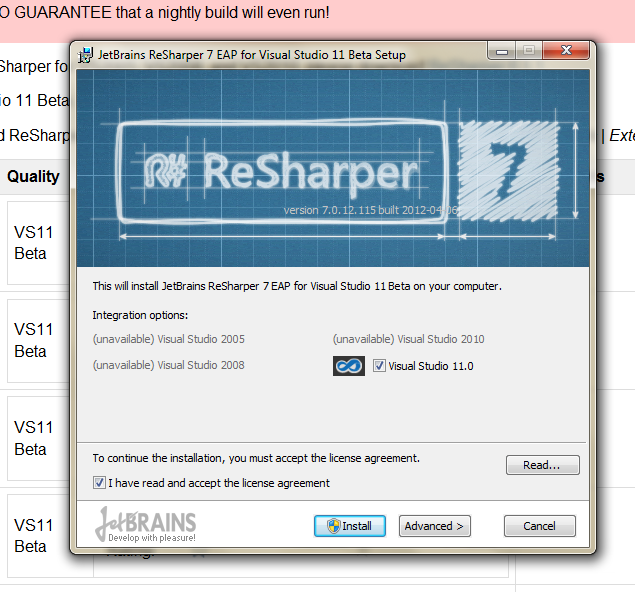 Its fortunate that there is a EAP build of Resharper that is setup to work with Visual Studio 11. 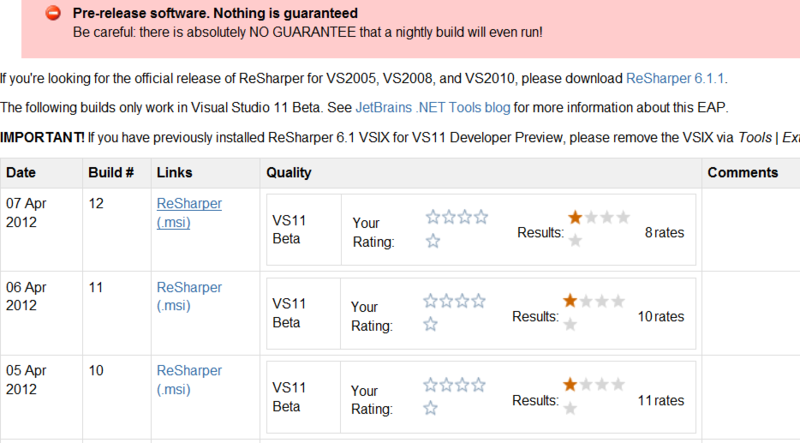 As always with pre-release software the risk to use these tools is yours and you need to weigh up the gains and disadvantages of installing this software on a given machine or VM. 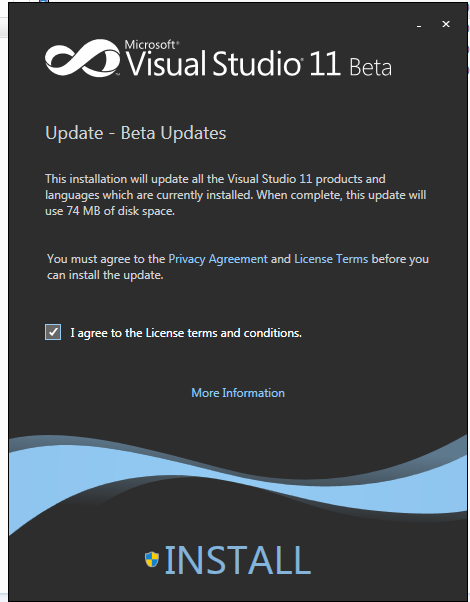 Hopefully you now are set to install the tools so lets move forward, first of all lets install Visual Studio 11 Beta , i have installed this along side visual studio 10 including the April updates and have not suffered any problems so far, this is not to say that this statement should be taken as a safety certificate. 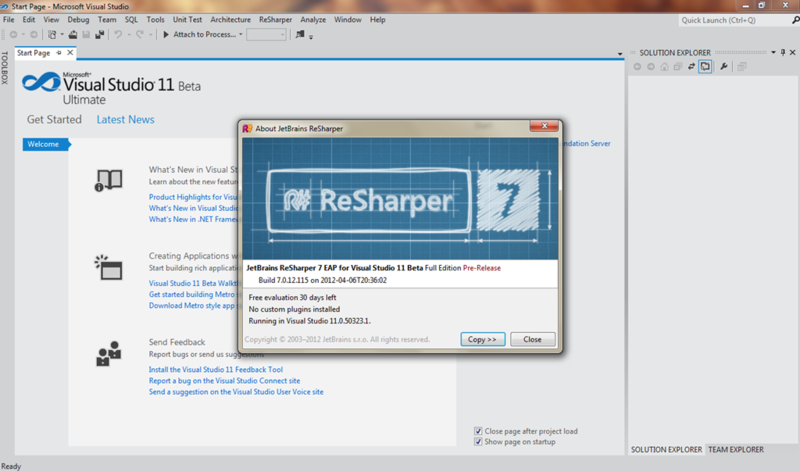 Once visual studio is installed it is time to install Resharper. 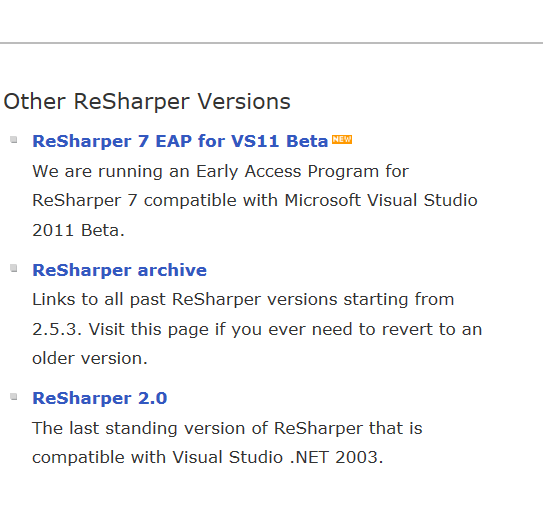 Resharper EAP is released on a nightly basis so its important to keep on top of releases, its also a good idea to feedback any issues and to check the version notes prior to downloading – as with all good agile teams this is ‘As Is Software’. 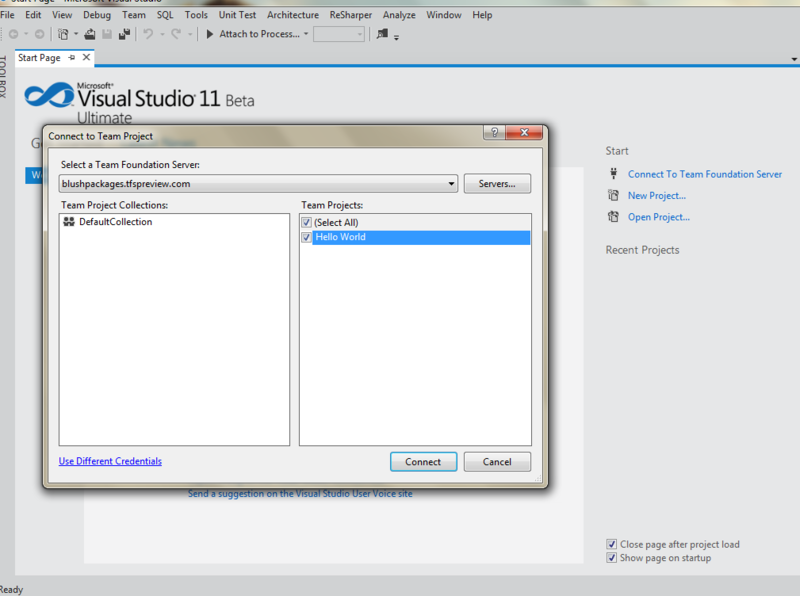 Once Visual Studio has started and we are fully configured you have agreed to Resharper Trial Licence, next we need to set up connectivity team foundation server, you will find a link on the home page click it and then click the Servers button enter the HTTPS Url for your Cloudy TFS instance. 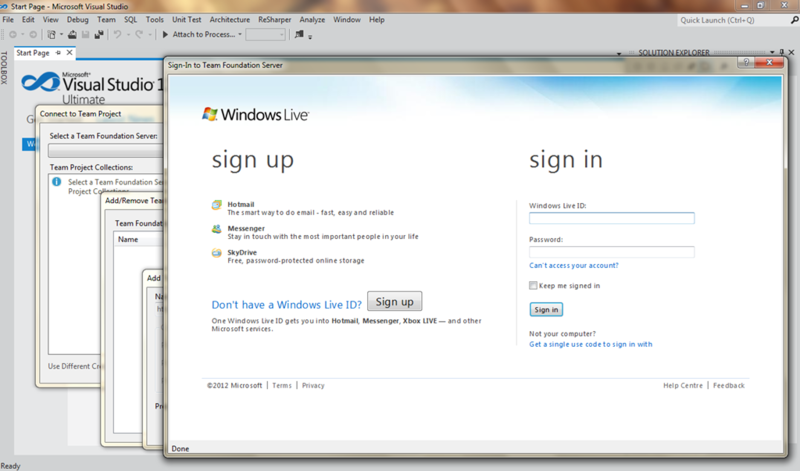 Congratulations you are now connected to Cloudy TFS. 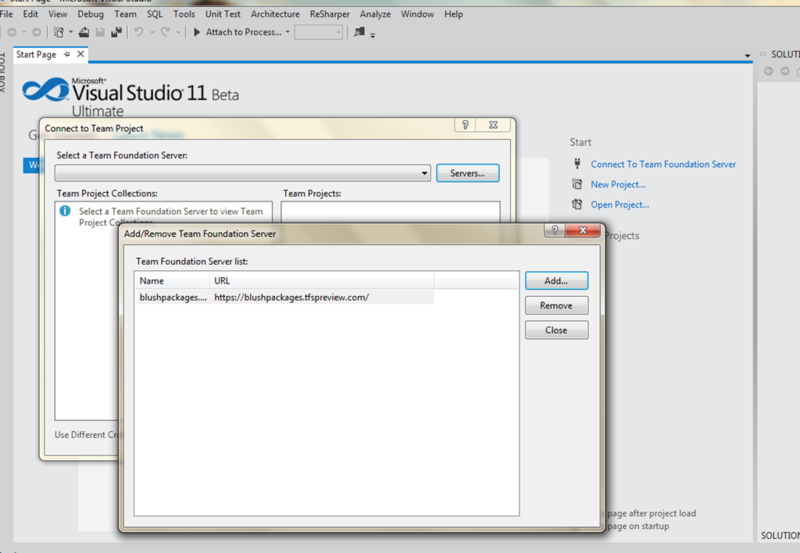 As you can see the Visual Studio , Cloudy TFS gives us full integration and brings Project management to Visual studio. 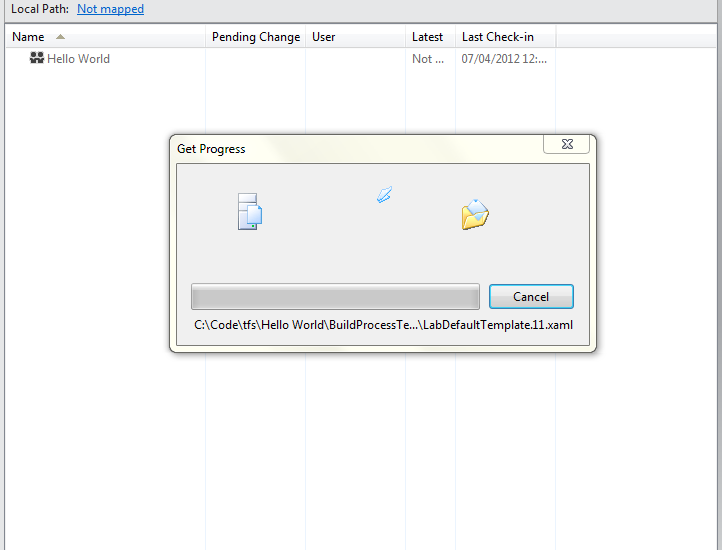 This will then give us a source structure on our file system which you can configure as per your coding standards, and push back in. 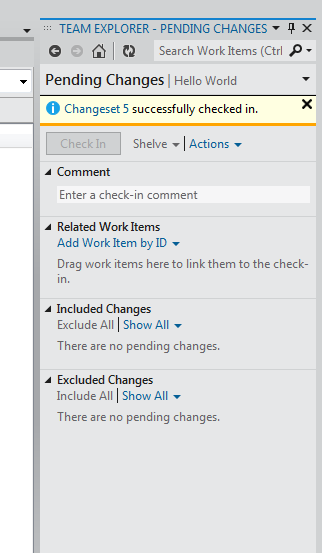 As you can see here you can in fact associate a Work Item including your story with your checkins. 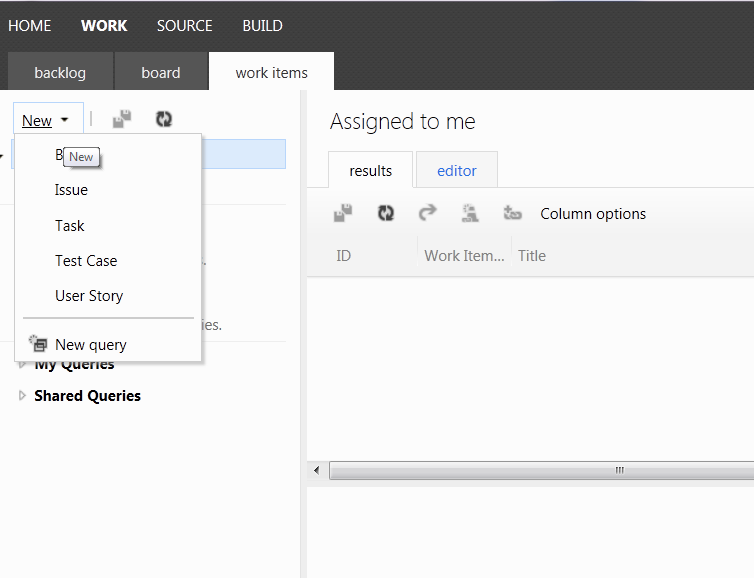 As you can see the partnership of Visual Studio 11 , TFS (cloud) is highly adhesive and very powerful as a Full life cycle ALM solution, but i hear you cry where is CI and Build well it turns out TFS has a build engine and my colleague John Mitchell will be talking about this in the second half of this blog for now here is the tantalising build tab inside Visual Studio 11.